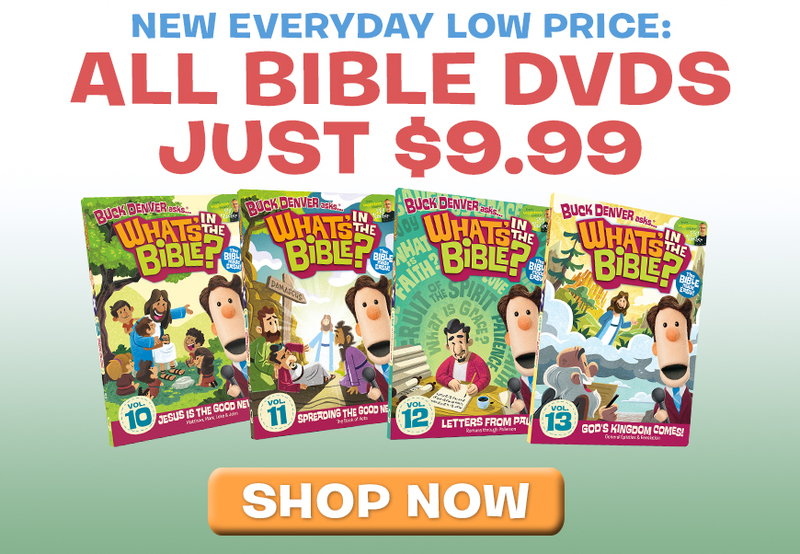 I already told you about how I help my kids learn to add doubles. 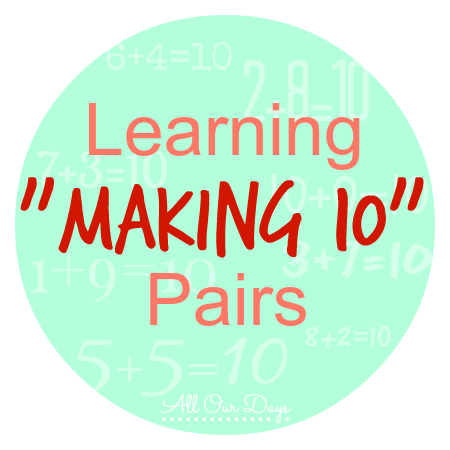 Today, I’m sharing two free printables I use to help teach my kids the “making 10” pairs. These are the pairs of numbers that add together to make the sum of ten. 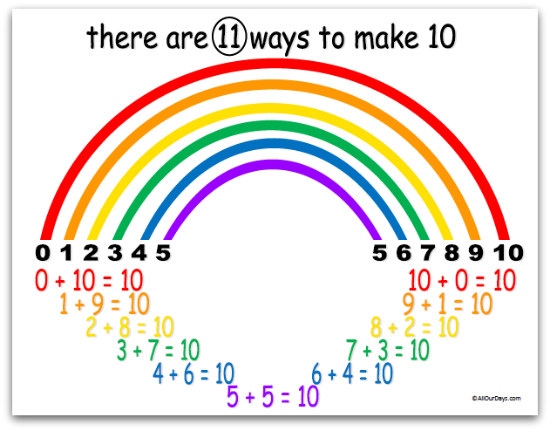 Making 10 Rainbow – a simple way to show the 11 specific ways you can add whole numbers to get a sum of ten. 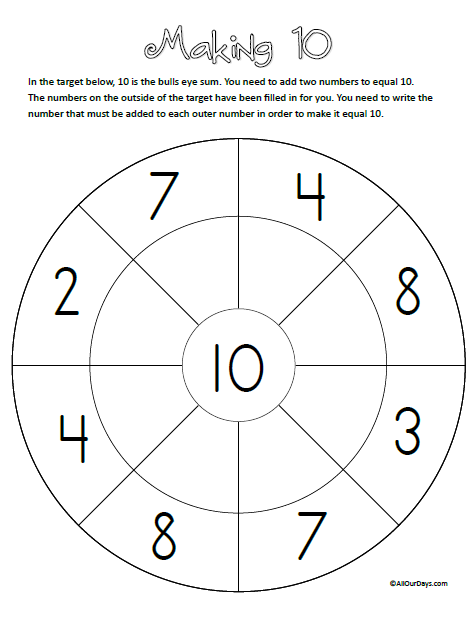 Making 10 Target Practice – I place these sheets in page protectors and let my kids practice filling in the targets as quickly as possible. I like to use a stopwatch and keep track of their progress as they cement these facts to memory. Do you have any tips or tricks for teaching math facts?